Full-service furniture restoration including refinishing, repair, upholstery, touch-up, and leather repair. We also offer kitchen cabinet refinishing. Before refinishing any piece of furniture, a thorough evaluation is done to determine whether or not to do it. If it is a true antique and still has most of its original finish intact, it probably should not be refinished—our goal is to enhance the value of your piece and never to diminish it. If it’s determined that the piece is to be refinished, it is hand-stripped of its old finish. This time-consuming process avoids the damaging effects of submerging a piece of furniture in a large vat of corrosive chemicals. Next it is prepared for finishing, which can consist of filling holes, gouges, and dents, and lightly sanding the wood. The final step is coloring the wood and applying the new finish. The finish color and sheen are done to your preferences. Before we determine the cost, we will examine your furniture to determine if repairs are needed. Our estimators are experienced at seeing problems that you may not be aware of. Our goal is give you an idea of the extent of the repairs as much as possible before the job is started. If a problem is found after the project is started, we will call you and outline the problem and additional cost to repair. We will not proceed with the job until you give your approval. 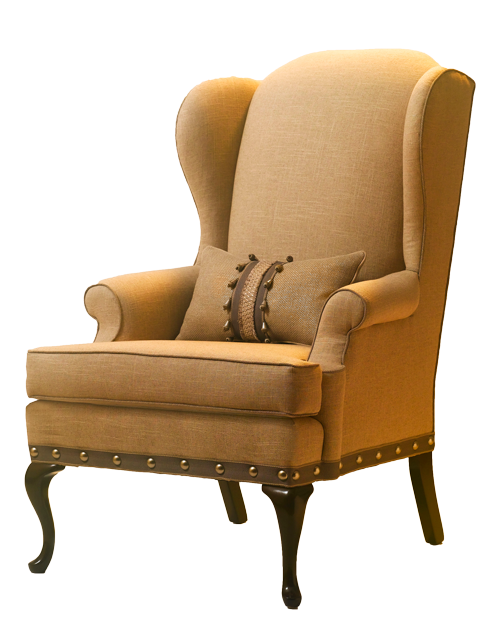 Our skilled upholsterers can upholster all types of furniture, cornices, and wall panels in fabric, leather, or vinyl. We remove all of the old fabric, unlike many upholstery shops. The frame and springs are evaluated. If a problem is detected, you are notified and a solution discussed. Padding is evaluated and replaced or added if necessary. The new fabric is cut, sewn, and applied. If the fabric is so loosely woven that it may unravel along the edges, the edges are finished with a special sewing machine. Leather cuts, abrasions, rubs and scuffs can be repaired or touched-up where the color is missing. Please call 410-997-5550 for more information on kitchen cabinet refinishing and to arrange an in-home estimate. Our precise quality control starts with you, our customer. We have designers and artisans to guide you, the best master craftsmen in the industry using unparalleled equipment; and 11,000 square feet of space to make it happen. A minor repair, an entire estate of furniture or a corporate headquarters remodel; no job is too small or too large. Over 40 years perfecting our craft – Making furniture happy. Thank you for choosing Josephs.